Hello there! Have had a wallet for a week or so now, and ran into a problem with McAfee. . . During a scan it quarantined my denarius.exe file. I released it, tried to run it, and received an error message: "insufficient system resources exist to complete the requested service". McAfee then immediately quarantines the file again. Has anyone seen this and know how to fix it? Maybe John M. just wants me to buy Bitcoin so he doesn't have to eat his d**k on live TV. . . This is freaking funny... lol..
OK justo temporarily disable your Antivirus and install DENARIUS WALLET... it is clean as Carsen said... at least I use Denarius Wallet on My Windows 7. Good to go - thanks all! Thanks, It worked. Also left the Mac OS X wallet open for longer and it connected. So guess the solution is too give it time. i keep getting a bug with the wallet left my rig mining over night left the wallet open ect. got up this morning closed the miner and the wallet so i could do bit work on my pc. this has happened before on two occasions go to open up the wallet and shows this error its like the Walllet.exe is getting corrupted some how not sure how? take out appdata/Roaming/Denarius/wallet.dat make backup. 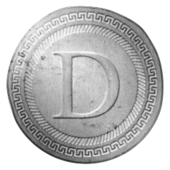 and re download Denarius wallet. open wallet let it sync. it quite annoying why this is corrupting there is no reason for it as i can see on my side. just posting for the devs to see. That message is usually from a corrupted file and it isnt able to open it as files are damaged or missing. ensure your antivirus is not flagging anything and deleting files. Yup your coins need to mature for 8 hours and the wallet needs to remain open and online to stake. Also make sure you are using the latest version v1.0.4.0, as it should connect easier now on Windows. I've an sync issue even with above settings. First I managed to get to 97% then problem started, by restarting the wallet multiple times and waiting I manged to get 100% coins to my wallet. Right after that it started again, cannot sync. I did restart the wallet multiple times and no luck. I left the wallet open during the night and when I woke up, I'm even more left behind. I copied the wallet to another PC and still the wallet is not syncing. I've UPnP enabled on my router and I see wallet added entry there. I would prefer to use SOCKS proxy, but the one which I have available uses authentication, which doesn't seem to be supported by the wallet. I see crap like this in the debug file. Any idea what's wrong? Could not get transaction for hash: 4d4708979bfcfd9a6c02b3ecc26a230f0a3cd619cc041caf8c4778cf0d17c2d0. Could not get transaction for hash: d65515594f7c0c400e1ae8c9b856d3a024a4d4b4d973d7318c5299fa7b197f96. @Jerppu Try downloading the bootstrap.dat from https://github.com/carsenk/denarius/releases/download/v1.0.6.0/bootstrap.dat and then importing it with the -loadblock <boostrap.dat location>, that should sync you up much quicker. Let me know! Great, at least for now the wallet is up-to-date. Cheers! Glad to hear your up and running syncing is something I want to tackle one of these days to improve more. Hello, I have a problem getting Denarius started in my OS X Yosemite 10.10.5. If it is your first time running Denarius try going into ~/Library/Application Support/Denarius and removing everything inside of there including the wallet.dat (but do not remove wallet.dat if you had funds on this Mac at all). I do generally believe its built with the SDK for 10.11 El Capitan and higher. I have not tested it on Yosemite at all. v1.0.6.0 is still in the works for macOS unless you compile it yourself. Upgrade to MacOs Sierra and it works perfectly. Thank you very much. Hi. Tried to get my wallet open but no go. Also tried backup wallet but same thing. How to fix this ? Try running the -repairwallet flag when opening Denarius like Denarius.exe -repairwallet, The repairwallet command is specifically for this sort of issue with your wallet.dat. this had happened after power loss, I've tried to repear but it doesnt help. You need to remove everything located in your C:/Users/YOURNAME/AppData/Roaming/Denarius/ folder, except for the wallet.dat (Wallet.dat includes your DNR wallet privkeys and balances). You will not get the error upon the next run of the client. To save some time with syncing the blockchain again, download the latest bootstrap.dat file from our Github https://github.com/carsenk/denarius/releases/download/v1.0.7.0/bootstrap277757-10-6-2017.zip and then put it inside your Roaming/Denarius folder with your wallet.dat, it will import the blockchain instead of having to sync it upon next launch, saving you some time! I've moved my DNR from Cryptopia to the DNR paper wallet. I now want to move DNR from the paper wallet to the windows wallet so I can do staking. Also, what is my wallets private address and how can I back that up and store it separately on paper or file? I replied to your other thread Generally you can export your private keys for your wallet from Coinomi or from your Denarius Wallet from running the command (dumpprivkey <yourdenariusaddress>) so it is similar to how I explained in your other thread on how to import a private key. Your private key is typically stored with your public address for safe keeping offline in yes a paper wallet or cold storage ideally, to keep it safe. You can also use https://dnraddress.org to generate a "paper wallet" with a public address and private key, that would be ready to be imported into other DNR wallets. I downloaded and installed the DNR wallet on my Mac today but when I try to open the file it is says this "Denarius quit unexpectedly" and will not open. Has anyone had similar issues? What steps must I take to resolve this? Curious to know the actual details of the error? If you could paste or screenshot the show details here? It may have to do with your chain download rather than the app itself if it was working before for you. If that is the case you would want to remove everything in your temp Denarius folder under ~/Library/Application Support/Denarius/ except for your wallet.dat which contains your wallet/funds. Let me know, happy to help! Just a quick question in regards to staking, i've created the conf file with staking=1 and have had my wallet synced and running open for a few days now. Most transactions are matured for 1 day and some for 2 days however I'm still not staking because coins take 8 hours to mature according to the wallet.